Warm fruity nose with dark plums, some orange zest and violets. Very juicy and vibrant fruit on the palate with good depth and structure. Long and focused with ripe finely textured tannins. Already very enjoyable to drink, but tannins will integrate further over the next two years. 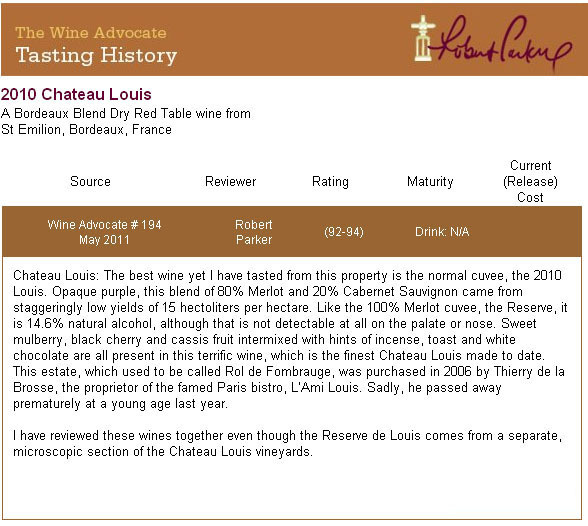 (14.7% alcohol): Good medium red-ruby. Inviting aromas of black raspberry, licorice, violet and bitter chocolate. Dense, chewy and very concentrated, with surprisingly sound acidity giving energy and definition to the juicy flavors of dark raspberry, menthol, licorice and flowers. With aeration, notes of redder fruits and earth emerge, along with a mineral element. Finishes with serious but ripe, dusty tannins and lovely floral lift. This impressive wine has the balance and stuffing to age for 15 or 20 years.